It is a well recognised fact that global ore grades are declining while commodity demands continue to rise. 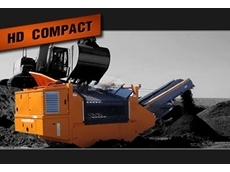 Increasingly complex ore bodies require a finer grind size to ensure maximum mineral recovery which is upping the ante on grinding technology. High Intensity Grinding (HIG) mills are being designed specifically to manage these types of complex, fine grained ore-bodies. Energy is one of the most expensive input costs on a mine site, minimising this cost is vital in the current market. 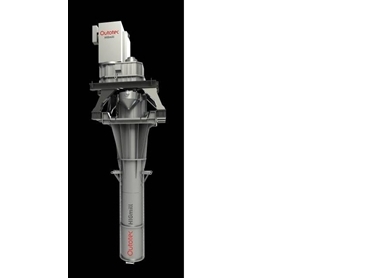 Compared to traditional ball mills, Outotec’s HIG mill uses up to 40 to 50 per cent less energy by using gravity to promote inter-bead contact and even-energy transfer. With the grinding media evenly distributed, the ore particles remain in constant contact, significantly increasing grinding efficiency. The disc configuration and the whole chamber geometry have also been optimised for efficient energy transfer to the bead mass, internal circulation and classification. 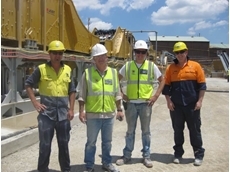 With installed power up to 5,000kW, the mill is one of the largest fine grinding units available. This technology comes in various drum diameters and the mill heights can be varied to optimise the media load and power input for specific applications. Chamber volumes range from 400 to 27,500 litres with corresponding drives from 132 to 5,000kW. Being able to adapt to fluctuating process conditions allows the mill to be implemented across a wide range of grinding applications. The drum segments and wear components have been specifically designed to make maintenance simple and quick. The casing is flanged vertically so that it can be split down the centre into two halves that can be moved apart on a railing system. After exposing the internals, changing individual discs and liner segments can be performed by two skilled mechanical trade workers. While wear of the discs is even around the circumference, it is faster in the bottom part of the mill and typically the lowest discs have to be replaced a few times before the entire set is changed. Wear components can be lined with polyurethane, metal hard facing or natural rubber depending on application. 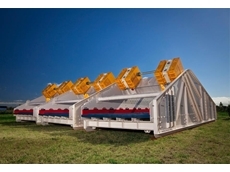 This innovative and unique grinding technology provides advanced, energy efficient fine and ultra-fine grinding - particularly important for today’s more challenging ore bodies. Outotec has already commissioned 260 mills. Suitable in either green or brownfield applications with its small footprint and high adaptability to process variations, HIG technology, at up to 5,000kW, delivers the one of the highest installed power in the market place to date.